Over the past decade, it has been proven that online customer reviews are quite possibly the second-best form of advertising (the first being the tried and true word-of-mouth method). Incorporating a strong review strategy in your business’s online marketing methodology can help you maintain or increase your online business rating by improving and showcasing your online presence on multiple large-scale online platforms. The first step is to figure out a strong strategy to relate to customers online and generate a great deal of customer feedback for your business. The best review strategy is to make it easy for customers to leave online reviews for your business. 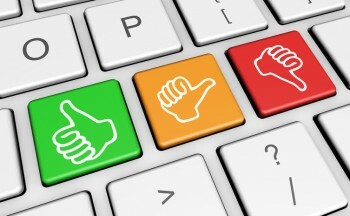 Why Do You Need Online Customer Reviews? According to BrightLocal’s 2016 Consumer Review Survey, approximately 70% of consumers will feel obliged to leave an online customer review when asked to do so by the business. This can help establish powerful and meaningful B2B and B2C relationships because, whoever your target audience is, they will feel special and valued because you cherish their opinion. Online customer reviews have been proven to increase online conversion rates, which can be crucial to fiscal growth and expansion. Many customers will feel far more obliged to purchase a product or invest in a service or company if they can first view reliable and trustworthy reviews from other consumers or local businesses who have conducted business with those companies. Even negative reviews can potentially yield positive results for businesses because customers tend to read them with a grain of salt. In light of bad reviews, what really makes or breaks a prospective customer’s impression of the company is how the company reacts to this review and the steps they take to positively rectify the situation. Every time customers search for specific businesses, services or products, one of the first things they notice are the number of reviews and the contents of those reviews. This is why every company needs to devise an intricate review strategy that works best for their business. An excellent method of ensuring that positive reviews are seen more frequently than inevitable negative reviews is to keep encouraging customers to voice their opinions online. If enough customers have good experiences with your business, eventually the positive reviews will outweigh the negative ones and push them lower and lower on your web site, review web sites, and social media, which will make them less visible. There is no denying that you should try to utilize as many online locations as possible for customers to post their reviews; however, these locations should also be conducive and relevant to your business. Generally speaking, Google reviews are probably the most common ones that people read. But, other sites such as Yahoo! Local Listings, Yelp!, and Amazon Customer Reviews can be equally helpful when it comes to providing prospective customers with the type of information they are seeking about your company’s products, goods and services. Most people only read about three to five customer reviews before they make up their minds about a purchase. Make sure the process for reviewing your products online is simple and seamless for even the least tech-savvy customers to navigate. There are a few effective methods of making it easier for customers to leave online reviews and managing your online reputation. Offer coupons so that customers can have a lasting and positive experience with your company. While some businesses try to use incentive programs or promotions as ways of increasing review acquisition, this is generally deemed unethical business practice and is frowned upon in the business world. 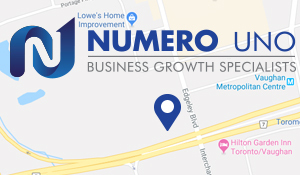 Numero Uno Web Solutions is a trusted SEO company. Our precise, studied methods and contact form optimization services have benefited businesses in Toronto, Richmond Hill, Vaughan; we have even extended our services to Texas, Massachusetts, and Florida. To learn more about our content marketing techniques and how we can help improve your search profile, call us at 1-855-SEO-XPRT.